" We have had the pleasure to use the services of Deputy Electric at Mondetta to both maintain our electrical systems, and participate in our renovations. The Deputy Electric team has worked on our lighting, power distribution, workstations, data and phone systems with our team here. The team at Deputy Electric has always achieved or exceeded our expectations and continue to be a valued partner in keeping Mondetta running. They are mindful of cost, safety and also are able to achieve our unique aesthetic requirements. We continue to to rely on their expert service a I strongly recommend them to others. The Deputy Electric team performs so well at our office, that both management and employees here have used Deputy Electric to work at their homes." 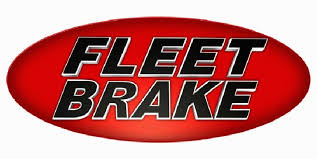 "This letter is to confirm that Deputy Electric is used by Fleet Brake as our electrical contractor at both our main Truck Shop and at our Trailer Shop. We have had a professional relationship for many years now and are incredibly satisfied with the service Deputy Electric provides. No matter what type of electrical service we require, we can count on Deputy Electric and their prompt, professional service. We strongly recommend Deputy Electric to anyone that requires an electrical contractor." "We have successfully completed several projects with Deputy Electric. We have found them to be very honest and reliable. They care very much about the customer and in the final product. We intend to continue to work with Deputy Electric in the future and do not hesitate to recommend them to others." "From all of us here at The Gardewine Group, I would like to take this moment and thank everyone at Deputy Electric for all their hard work over the past 4 years keeping all our electrical equipment in good operating condition. No matter what electrical issues we are having, you work with our staff to find the most efficient and low cost solution to our problem. When called upon, you offer us what appears almost instant service and your professionalism is first class. We understand that the work environment at Gardewine is fairly hazardous with all the vehicular traffic and we commend you on your commitment to the safety of both Deputy and Gardewine personnel. Keep up the great work!" "We partner with many subcontractors based on an analysis of each service provider's ability to complete the work within the project schedule, safety certification, track record and known construction capabilities. We have chosen Deputy Electric for many of our projects because of their qualifications. We have had a professional relationship with Deputy Electric for 4 years now and are pleased to say how very impressed we are with all the work they have done. M&L General Contracting proudly recommends Deputy Electric to our customers, our employees, our friends, our families and anyone else looking for a reliable, honest and professional electrical contractor." "To everyone at Deputy Electric. Just a quick thank you and great job for all the work you have done for me around the office and at my home. As well, thank you for all the amazing work you have done for all the customers whom I have referred to you. I have heard nothing but positive feedback regarding the quality of workmanship and reliability they experienced from Deputy Electric. In the past I have struggled with unreliable contractors, but you have come through for me every time and I can not recommend your excellent services enough." "We have used Deputy Electric right from our companies very beginning. They have installed all our new lighting so we can see properly while we work. They wired all of our machinery and equipment that we required when we moved into our new location. Now as our company grows and we double the size of our shop, we called Deputy Electric to wire it to suit our requirements. We use Deputy Electric because we find them to be very honest, reliable and would recommend them to anyone.